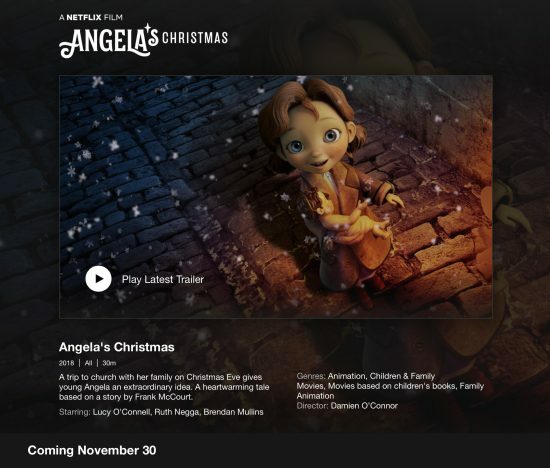 The animated short film “Angela’s Christmas” broadcast last year on Christmas day on Irish TV will be released in less than 2 weeks on Netflix. Info and trailer by clicking this link. Thanks to Cranberries Music Video Edits for the link. Posted in Dolores O'Riordan. Bookmark the permalink.